Desktops are now slowly becoming less workable because you cannot carry it and it covers enough space where it is put, even though these are recommended for high-end gaming and also for heavy load work and in this manner they are the beasts. Now there is a time for short, multitasking, light in weight devices that can do work like desktop computers and these devices are laptops which are available in various sizes and configuration as one wants and according to their requirements. Although there are many brands in the market available for laptop and new ones also are coming but one of the most wanted brand whose laptop everyone wants, is Apple’s Mac. There are different variations of Apple’s Mac but recently launched Apple’s Mac BookPro with Retina display, is awesome. 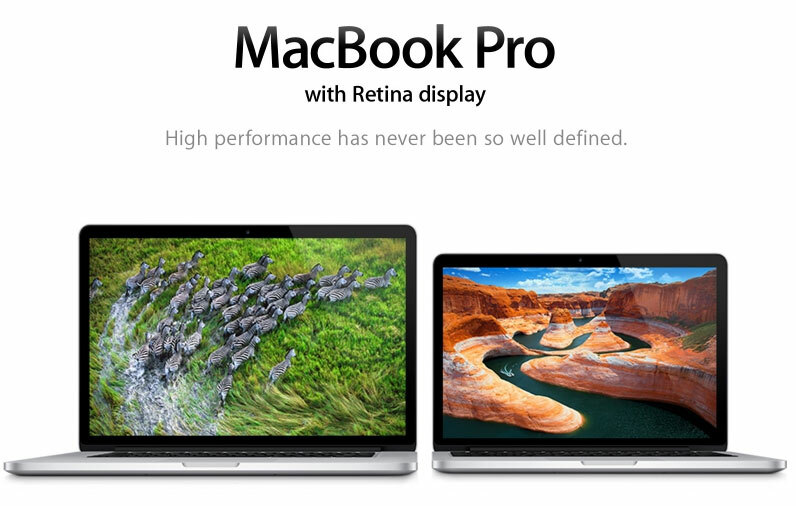 You perhaps must be thinking what is special about this MacBook Pro and its Retina Display. First of all retina display is a brand name used by Apple for its devices, which is also called Liquid Crystal Display. It has a high enough pixel density that a normal human eye cannot see the pixelation at viewing distance. Retina display gives the quality like you are watching real or it seems like inter-sighted and this experience makes other displays dull and rough. It has resolution of 2880 by 1800 pixels. It is also thinner, lighter and one thing that I do not like is, it lacks DVD drive and also an Ethernet port for internet connections while Apple is selling 29$ Ethernet adapter and also thunderbolt multipurpose ports. This new Apple MacBook Pro is crystal sharp display and you can enjoy it much by watching films and doing your work. Especially for photographers, graphic designers, and video editors and for others whose work things relate with video work, for them it is an awesome device.